This market in Donghuamen street, which opens everyday from 3-10PM, is worth a visit if you're in Beijing. 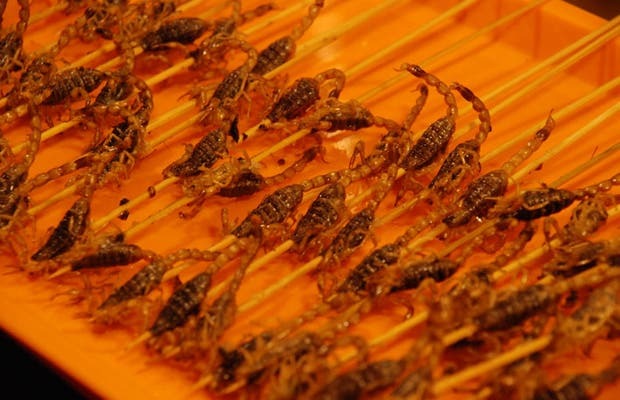 Founded in 1984, the market offers snacks made of insects and typical Chinese ingredients. It's one of the most unusual places in the capitol, and very popular.